Diamond drilling on Tasca’s Poplar Project near Houston, British Colombia. Photo courtesy Tasca Resources Ltd.
Tasca Resources Ltd. [TAC-TSXV; ECMXF-OTC; 3TA-FSE] emerged as the volume leader on the TSX Venture Exchange Tuesday January 22 after the company reported results from diamond drilling at its Poplar copper project located southwest of Houston, British Columbia. Investors responded by sending Tasca shares down 9.09% or $0.005 to $0.05 on volume of 4.6 million. The 52-week range is $0.035 and 13 cents. In late November 2018 Tasca said it had launched a drilling campaign that aimed to focus on verifying historic resource estimates and expanding the limits of known mineralization along strike and at depth. The 62,000-hectare Poplar Project hosts an historical indicated mineral resource of 131 million tonnes, grading 0.31% copper, 0.009% molybdenum, 0.09 g/t gold and 2.39 g/t silver, as well as a historical inferred resource of 132 million tonnes, grading 0.27% copper, 0.005% molybdenum, 0.07 g/t gold and 3.75 g/t silver. This material was identified through the drilling of 147 holes. The historical indicated and inferred resources were disclosed by Lions Gate Metals Inc. in its technical report, dated March 30, 2012. In November 2018, the company said drilling had been delayed by the Nadina Lake forest fire. 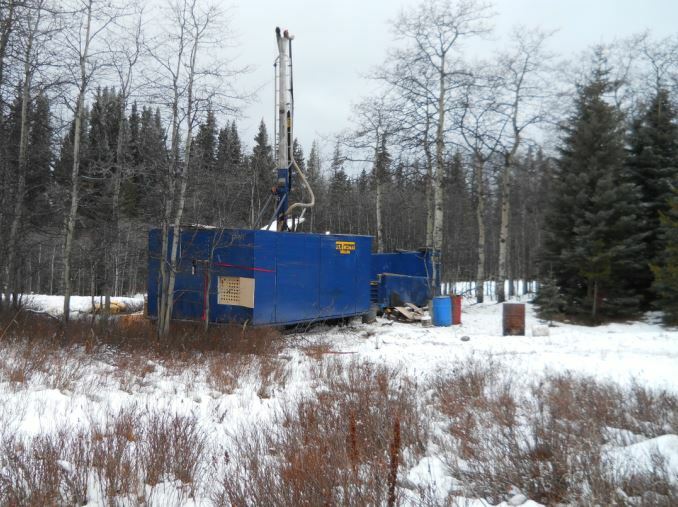 On Tuesday, the company said highlights from winter drilling included hole 18-PC-126 which intersected 0.365% copper, 0.015% molybdenum, 0.145 g/t gold and 2.31 g/t silver over 380.97 metres. Hole 18-PC127 returned an average of 0.421% copper, 0.013% molybdenum, 0.105 g/t gold and 2.63 g/t silver over 264.86 metres, including 27 metres of 0.643% copper, 0.030% molybdenum, 0.146 g/t gold and 2.62 g/t silver. Tasca said it plans to both continue to drill laterally and to depth to increase the main deposit and to systematically test the satellite zones. A permit for further drilling is in place, the company said.